Tweens & Teens Resources Page!! 2018 Summer Reading Progams "Libraries Rock"
The beautiful ceramic book tiles, by Blythe Collins-Niskanen, give thanks to the major contributors of the Waldport Public Library's expansion. The following is a list of contributions from grantors, local businesses and volunteers. We are most grateful. Artists: Blythe Collins-Niskanen; Gary Power, Barbara Smith-Huggins; Quirina Kryger, Tom Roker. It’s Thanksgiving time at the Waldport Public Library. Though we won’t be serving turkey, we do want to give second helpings of “appreciation” to those businesses, donors, grantors and volunteers that contributed to the remodel of our building. The Waldport Urban Renewal and an anonymous donation made in 2003 started us off in the funding. A $25,000 grant from Siletz Confederated Tribe Charitable Fund gave us confidence the project would be funded. The Friends of the Library committed to the project and not only raised funds through book sales, but also through grant applications. They were awarded $23,954 in 5 grants from Rose E. Tucker Charitable Trust, Spirit Mountain Community Fund, The Collins Foundation, and Trust Management Services. 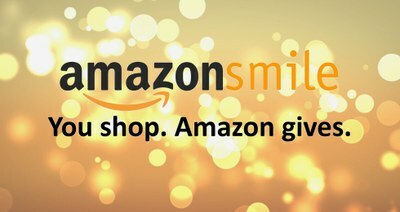 A number of our local businesses stepped up to help us. Ted of Harber Electric did our wiring for the cost of fixtures, saving us over $20,000. Dahl Disposal contributed over $1500 worth of hauling services. We filled 5 large containers and uncounted small bins. Pioneer Telephone Cooperative contributed not only money, but also the crew to pull the wires for the computers. I don’t think any of the crew got away without doing some work over here. Vince Emge was great with his “we will figure it out” attitude. There are pages that can be written to the students and instructors of Angell Job Corps for their time on the job and extra effort to get this job done. The Union Pre-apprenticeship Carpentry and Painting programs spent months on this project. Under the supervision of carpentry instructor Buck Hobbs the carpenters installed the sheetrock. Then instructor Rich Bappe brought the painters to finish and texture the walls and ceilings. Finally, they got to actually paint. The staining and varnishing of the giant beams really set off the entry. The painting students contributed over 2000 man hours into the project. We hope the students gained from their work here. We know we have by far benefited the most from this alliance. Special thanks to Richard Iverson Construction and Michael Watkins Construction. Richard was so very patient waiting while we gathered the funding. Few contractors would have been so willing to work on this old building giving it yet another life. We have passed final inspections and we are plotting our new shelving. The community seems pleased and we hope they will enjoy the expanded space for children’s services, computers, and of course a growing collection of books and media. Friends of Waldport Public Library! 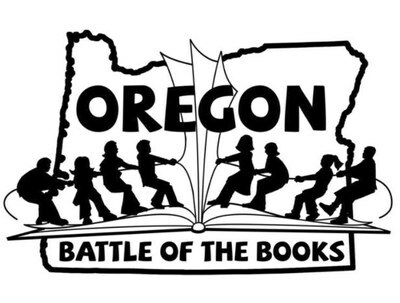 Oregon Battle of the Books! !